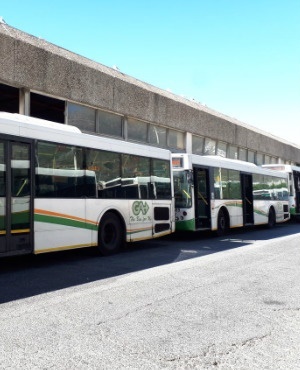 The bus strike will continue, South African Transport and Allied Workers Union (Satawu) spokesperson Zanele Sabela confirmed. Unions met with employers on Thursday in a last ditch attempt to end the national strike. However, employers held firm to their original offer of 8% increases in the first year and 8.5% increase in the second year, Sabela told Fin24 in a message. The unions were seeking a 9.5% increase. Last week employers gave an ultimatum of a 9% increase for the first year and a 8.5% in the second year. They also wanted the rise to come into effect as of May 1, as opposed to April 1, as the unions sought. Labour Minister Mildred Oliphant and Transport Minister Blade Nzimande were briefed on the bargaining positions last week. The ministers were not party to negotiations but called for bus services to resume.